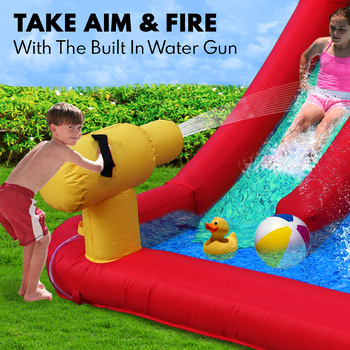 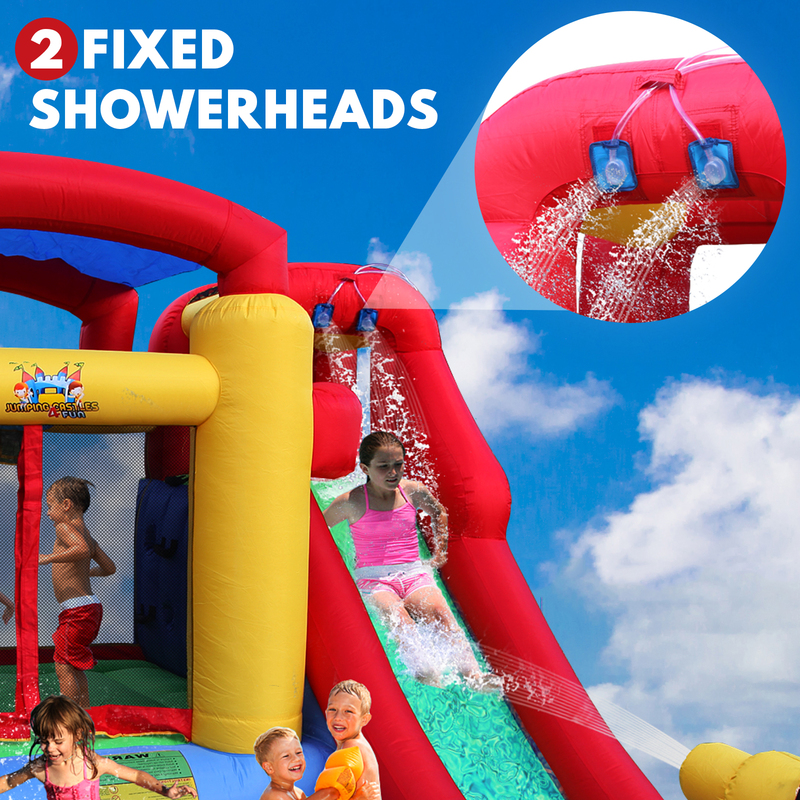 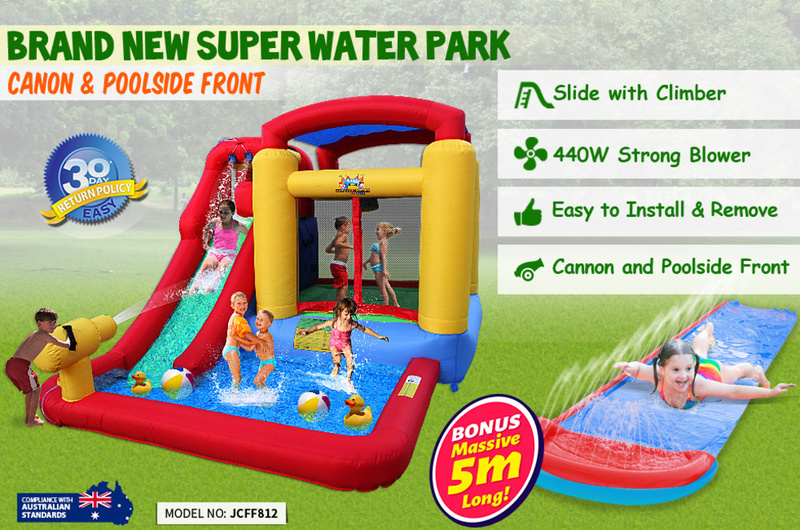 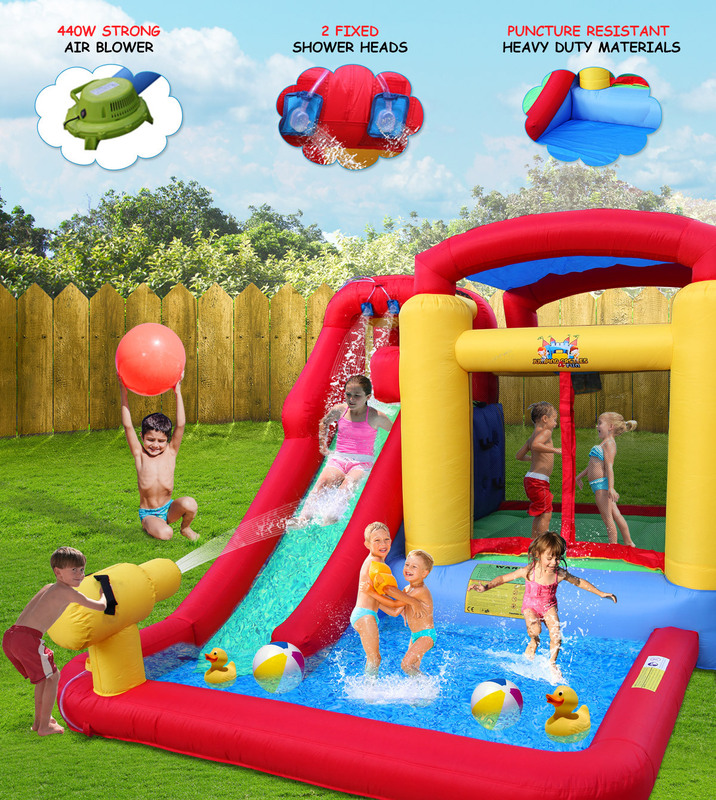 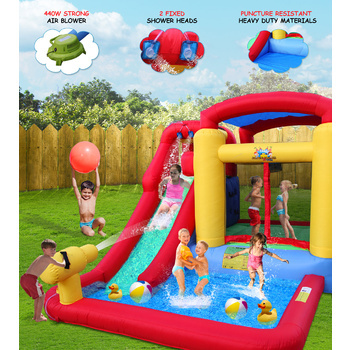 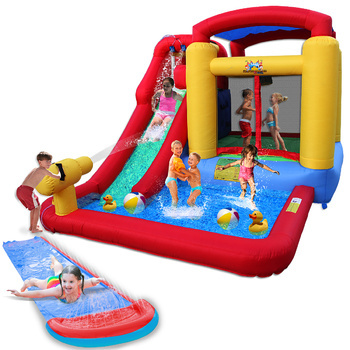 Bargains Online brings to you “super water park unit” for your kids. 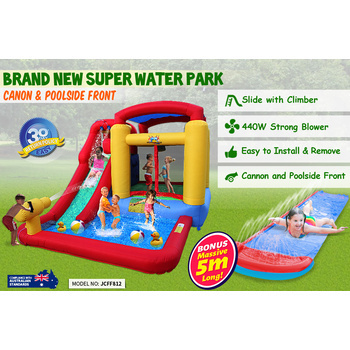 Super water park unit is a trendy and smart innovation that fulfils your child’s play activity needs. 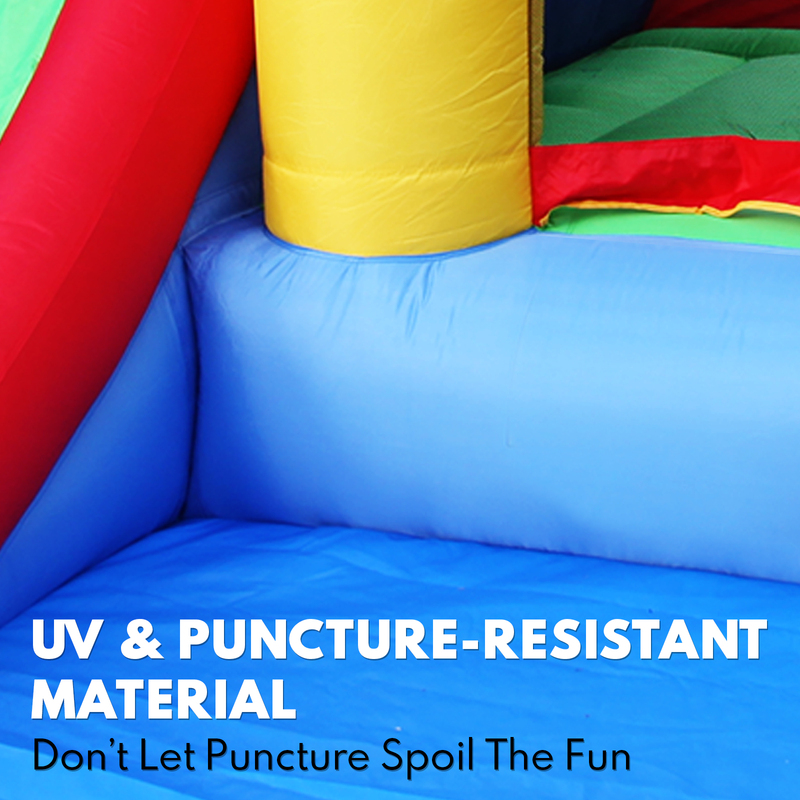 Your kids will just love to spend their time playing in it. 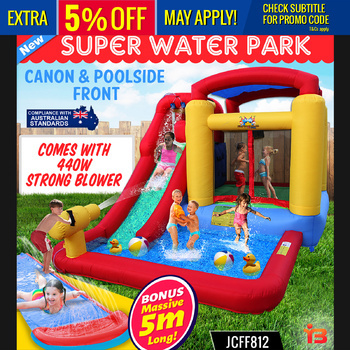 It comes with a slide, cannon and an incredible front pool. 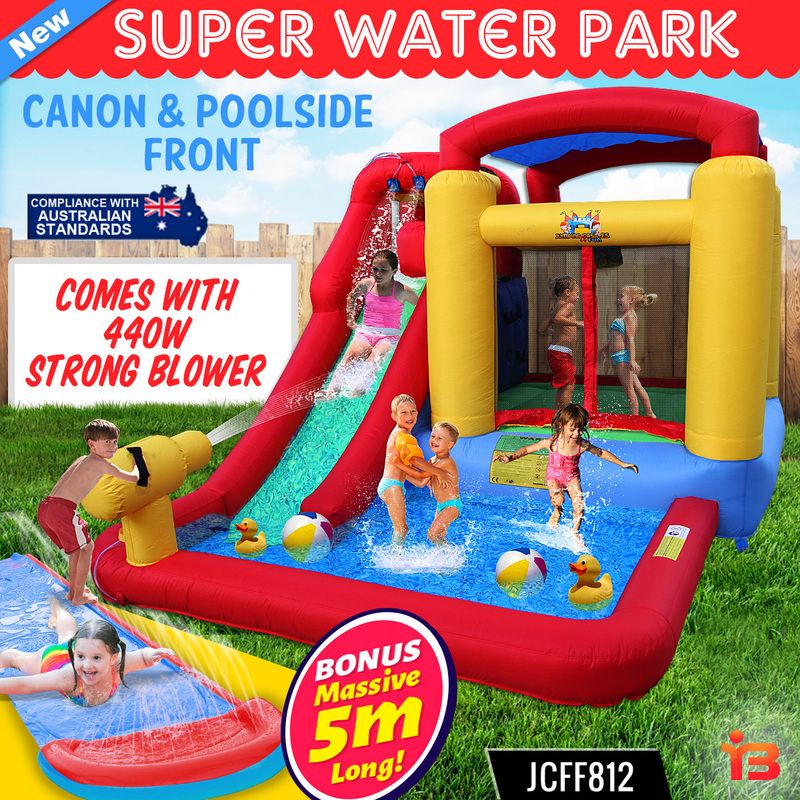 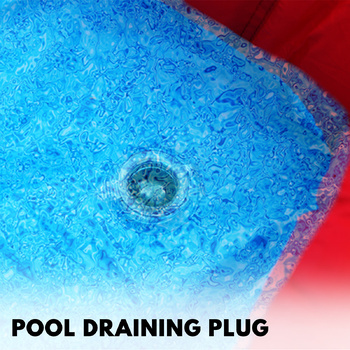 This model comes with 440W strong blower and complies with Australian standards. 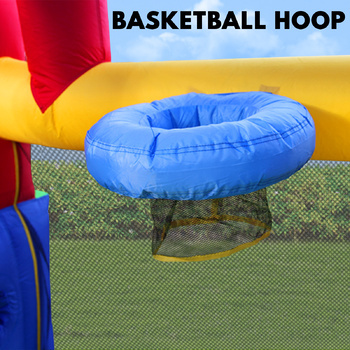 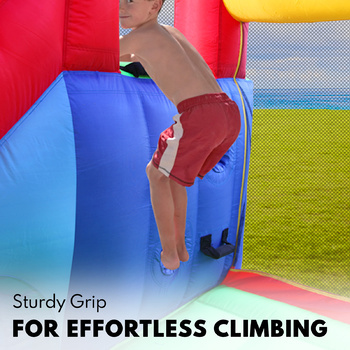 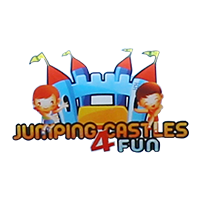 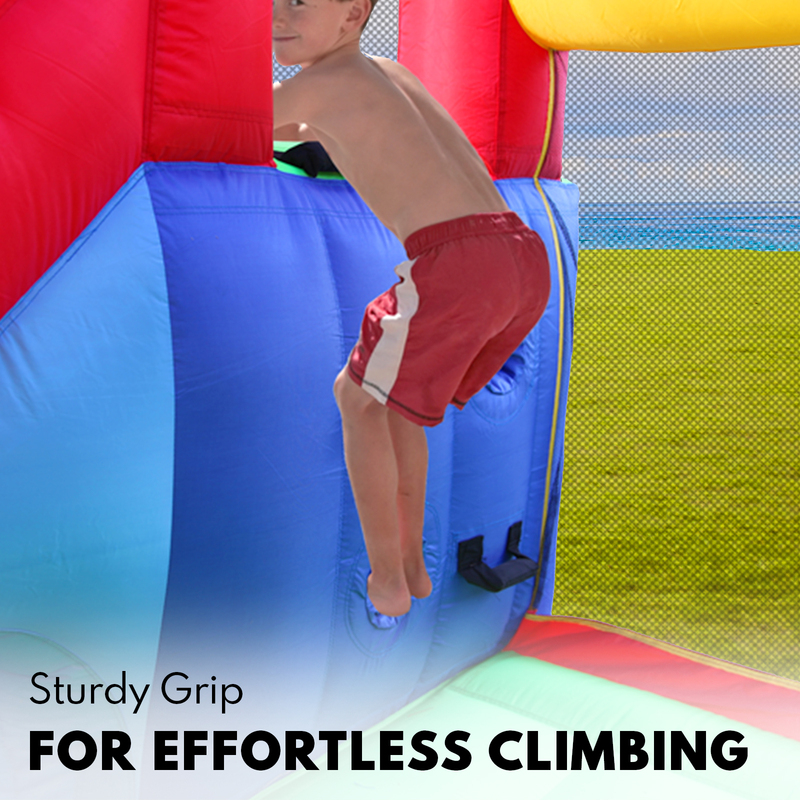 This product is excellent for children to keep them engaged in playful activities, which will allow them to burn extra body fat and will also provide them with the necessary exercise for their body. 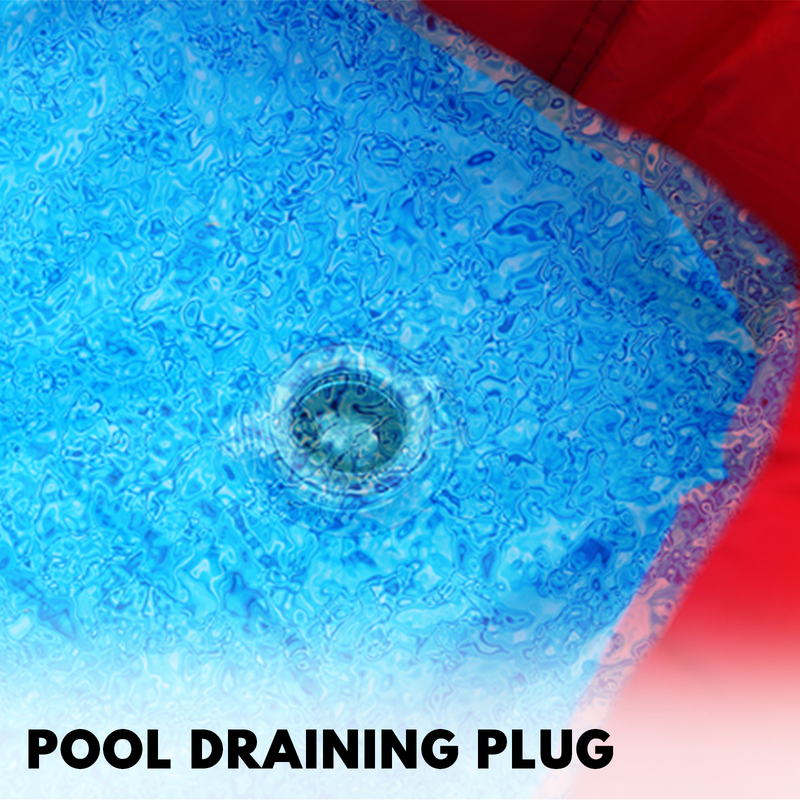 It comes in refreshing colours and an exotic design. 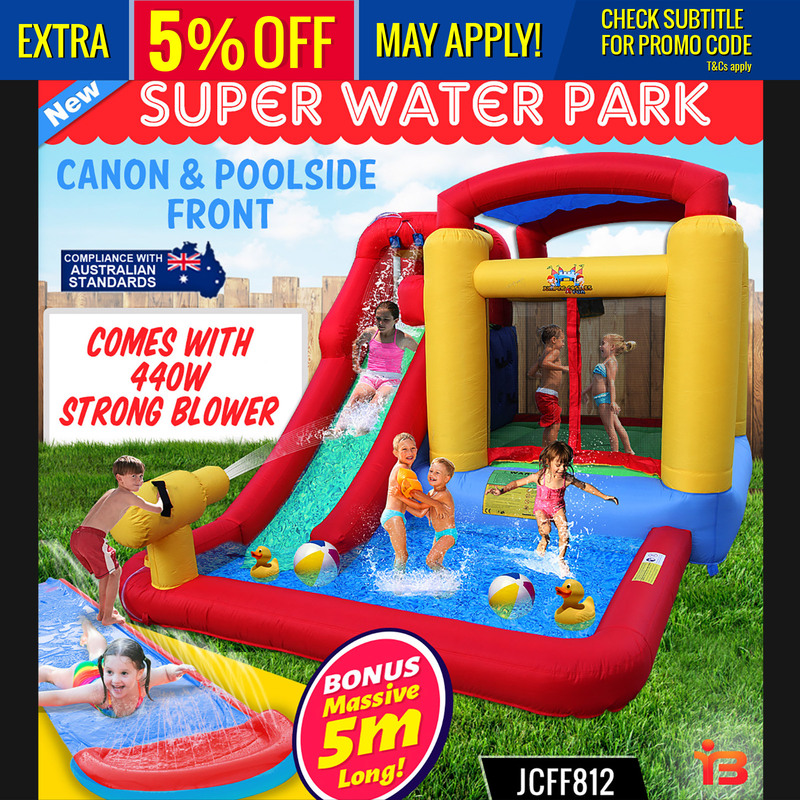 Australian approved blower with 12 months warranty.